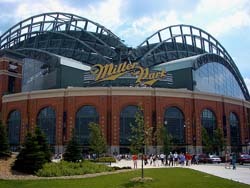 The Milwaukee Brewers announced Thursday that Miller Park will play host to an international soccer match between C.F. Pachuca and Cub Leon on Wednesday, July 11 (7:30 p.m.). Both teams represent Liga MX, the top-level of soccer in Mexico, with Landon Donovan bringing plenty of star power to Milwaukee as a member of Club Leon. Tickets to the match go on sale to the public on Friday, May 11 (10 a.m. CT). Fans can visit Brewers.com/soccer to purchase tickets. 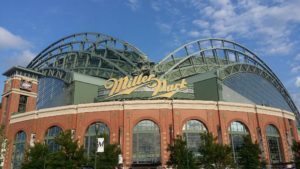 This even will mark the third professional soccer match ever played at Miller Park. Due to the aftermath of Hurricane Irma, the Miami Marlins scheduled home series against the Milwaukee Brewers this weekend has been moved from Marlins Park to Milwaukee’s Miller Park. Due to the brief lead time, staffing levels for concessions, guest services and other logistics will restrict seating capacities at Miller Park for the three game series. For Friday, only Field Level tickets will be available for purchase, a capacity of approximately 10,000 tickets. For the Saturday and Sunday games, the capacity will increase to approximately 23,000 with staffing for those two games extended into the Loge Level. Tickets will be placed on sale at 10 am Thursday morning (Sept. 14). 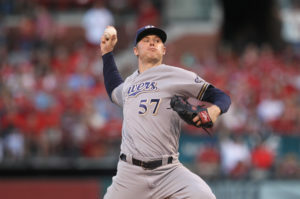 The Milwaukee Brewers dropped their final home game of the season, 4-2 to the Cincinnati Reds at Miller Park on Sunday. But even in a rebuilding season, the Brewers managed to win more than they lost at their home ballpark. The Brewers finished 41-40 at home this season, with more than 2.3-million fans paying to see them play. The Milwaukee Brewers got another 2 2/3 innings of scoreless relief from their bullpen in a 4-3 win over the San Diego Padres at Miller Park on Monday night. 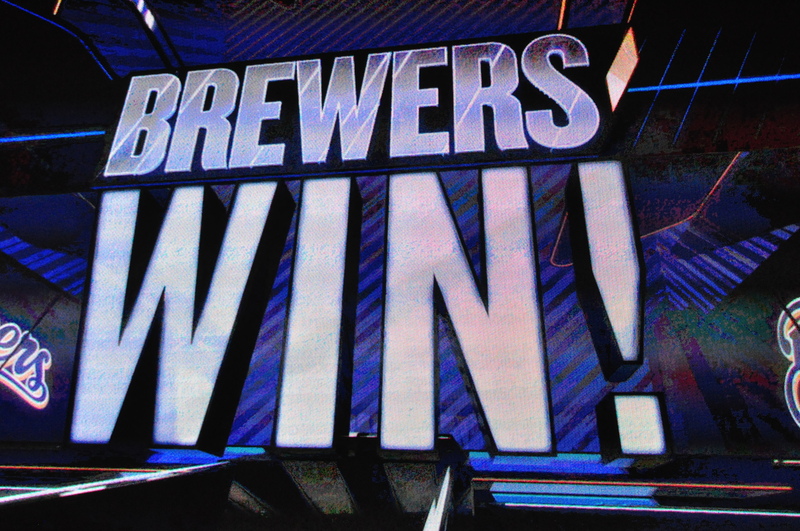 It’s the fourth straight win for the Brewers, who improved to a Major League best 15-5. 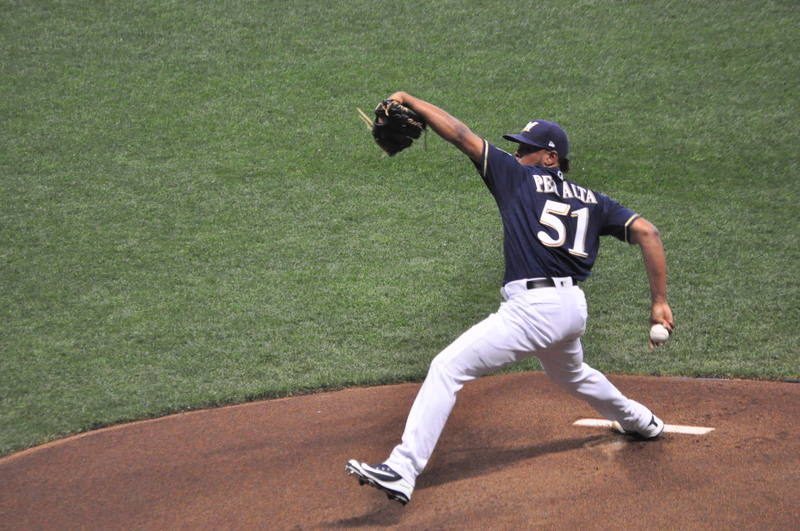 Wily Peralta (3-0, 2.19 era) gave up 3-runs on 6-hits in 6 1/3 innings to earn the win, but he needed help from the bullpen in the 7th. 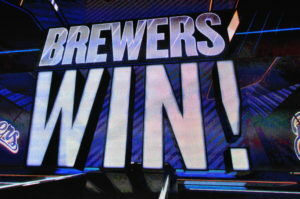 in the 10th inning gave the Brewers a 5-4 win at Miller Park. The Brewers actually trailed 3-1 in the 8th but scored three runs to take a 4-3 lead. Ryan Braun drove in a run with an infield single and Aramis Ramirez followed with a 2-run double to put the Brewers in front for the first time. John Axford came on to preserve the win, striking out the first two batters he faced in the 9th. Then Dexter Fowler clubbed a solo home run to right with 2-outs in the 9th inning to force extra innings and hand Axford his 1st blown save of the season. In the 10th, Rickie Weeks was hit by a pitch, stole second. Then Ryan Braun was intentionally walked and Aramis Ramirez followed with another walk to load the bases for Lucroy, who delivered the game winner. Yovani Gallardo gave up 3-runs on 10-hits in 5-innings and was in line for his 3rd opening day loss but his teammates got him off the hook. Norichka Aoki homered in the 3rd for the Brewers. Troy Tulowitski and Carlos Gonzalez also went deep for Colorado. The win snapped a four-game opening-day losing streak for the Brewers. The Milwaukee Brewers got their first look at recently signed pitcher Kyle Lohse Thursday. Lohse made the start as the Brewers wrapped up Cactus League play with a 6-2 win over the Colorado Rockies. Lohse, who saw his first live game action this year, gave up 1-run on 4-hits in 3 2/3 innings of work. Despite not having a team to pitch for, he tossed simulated games as a free agent to stay ready for when his phone rang. Manager Ron Roenicke said after the game that the team is likely to keep an extra pitcher on the roster while Lohse works his way back to form. Offensively, Yuniesky Betancourt had 3-hits, including a home run, as he saw his first action of the spring as a Brewer. 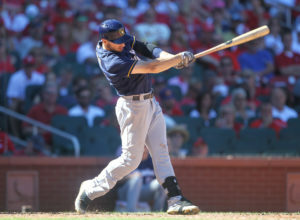 Milwaukee signed the veteran Tuesday to add depth to the bench with Taylor Green being put on the DL. Betancourt was with the Phillies for a majority of Spring Training. The final roster decisions are expected to come this weekend as the Brewers host the Chicago White Sox Friday and Saturday at Miller Park. Opening Day is Monday when the Rockies come to town.